The Tamagotchi you had 16 years ago isn't a zombie coming back to haunt you. The virtual pet's riding that 90s nostalgia wave, and it's been resurrected in the form of an Android app. It eats! It poops! It walks! It's begging for your love and care, just like a real pet only not like a real pet at all because it doesn't resemble an animal and exists only in a smartphone app. You know, just like you remember. 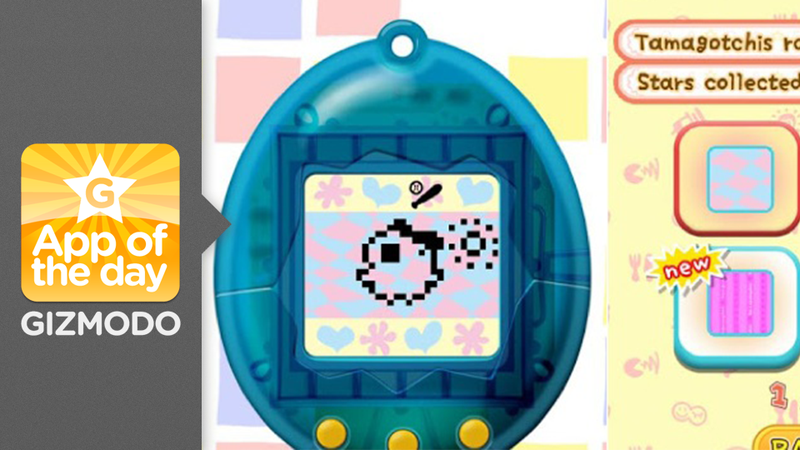 Because we had Tamagotchis when we were kids, and we still have love in our hearts for the adorable digital pets. The new Tamagotchi is pretty much the same as that old plastic module you carried on your backpack in middle school, only now you don't have to beg your mother to buy it for you. The app has all the original 16-bit characters, and now it's in color. And same as always, if you neglect your fictional animal, it will die and you will be sad until you just download another one.